Year you started your baking business? Making cakes for friends and family in my moms kitchen! I feel like our baked goods truly do have so much love in them, which makes them so much better! our business name states two things we use in our products - Love & Flour! I’d say my customers! they inspire me to create the best product i can so i can see the huge smile on their face when they try it! What’s free time? ha! JK, i love to travel. Truffle fries, or fried gyoza. 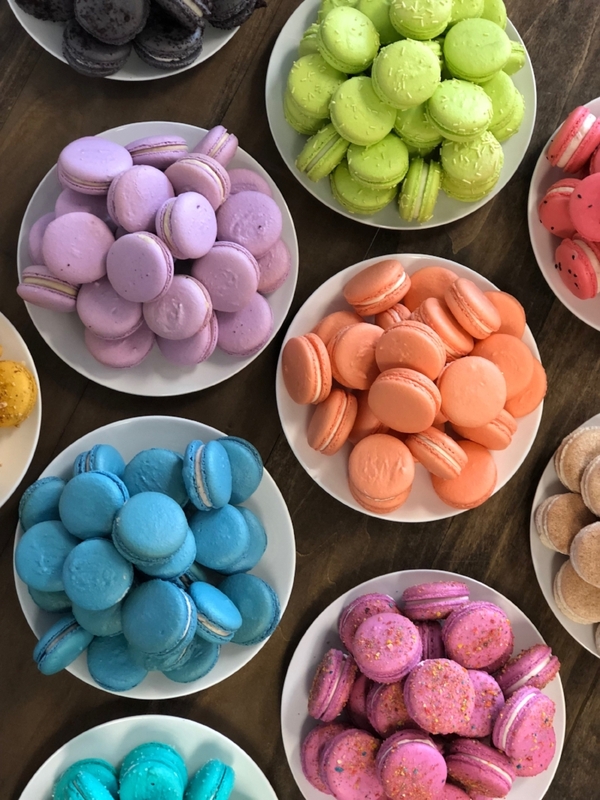 French Macarons, Cookie Sandwiches, macaron ice cream sandwiches, and more!